This classic comfort food is easily made without the beef. And, for you crazy non-fungi lovers, my hubby claims it’s just as good without the mushrooms! I also make him mashed potatoes, and to avoid being carb-heavy, I make mashed cauliflower for me. Hopefully you can find eggless noodles at your local grocery store. My Kroger stores carry an eggless dumpling noodle and I’ve also found eggless noodles at the dollar store. The cook a lot faster than other noodles so check them often to avoid overcooking. The “beef” broth I use is Edward & Sons Not Beef Bouillon. I get mine at Earth Fare, but you can also get it online at Vegan Essentials, Vitacost, or elsewhere. Make sure your Worcestershire sauce is vegan. A lot of brands use anchovies. The Kroger brand does not contain the nasty little things! If you can’t find it in a local store, you can purchase it online along with your Not-Beef bouillon – both from Edwards & Sons. I use Gravy Master to darken the sauce a little. It gives it a browner color. If you can’t find it you can leave it out. It’s really for color only! In large sauce pan, cook noodles until tender, being careful not to overcook. Drain, and set aside in saucepan away from heat. In skillet, melt butter. Stir in the water, Worcestershire sauce, garlic powder, gravy master and the bouillon cubes. Allow bouillon to melt completely. In shaker jar add the cup of non-dairy milk and flour. Shake to combine. Whisk into gravy mixture. Heat to boiling, whisking occasionally to avoid clumping, then reduce heat and simmer for 15-20 minutes or until slightly thickened. Stir 1/2 of gravy into noodles. Or, if not using mushrooms, stir all gravy into noodles and you’re done! If you’re using mushrooms, continue on! In skillet with the rest of the gravy, add the onions, mushrooms, and black pepper. Cook over medium heat until mushrooms are at desired tenderness. Combine mushroom gravy with noodles. Serve, eat, enjoy! Betty, Betty, Betty, why do you keep sending me emails with chicken recipes in them, don’t you know I’m vegan???? Wait… why do I even subscribe to Betty Crocker emails? Oh yeah, for times like this when they send me the (al)most perfect recipe. What would make it perfect? If it were vegan! So, I thought, if Betty’s not going to make it vegan, I will! And, voila, a delicious, one-pot vegan chicken with pan roasted cauliflower and orzo recipe… even better than Betty! Heat oil over medium heat in 12-inch nonstick skillet. Add cauliflower and pan-roast for approximately 10 minutes, stirring occasionally, until lightly browned. Add water, bouillon cube, vegan chick’n (if using), orzo, onions, and tomatoes. Heat to boiling, then cover and reduce heat to medium. Simmer approximately 10 minutes or until orzo is tender. Remove lid. Stir in spinach and continue cooking for about 10 minutes or until liquid is absorbed. Stir occasionally to prevent mixture from sticking to pan. Remove from heat. Looking for some delicious and easy vegan Thanksgiving recipes the whole family will love. With all of this goodness, there’s no need for a turkey! Here’s a recap of some of my favorites over the years. Have a happy, cruelty-free Thanksgiving! Wow! 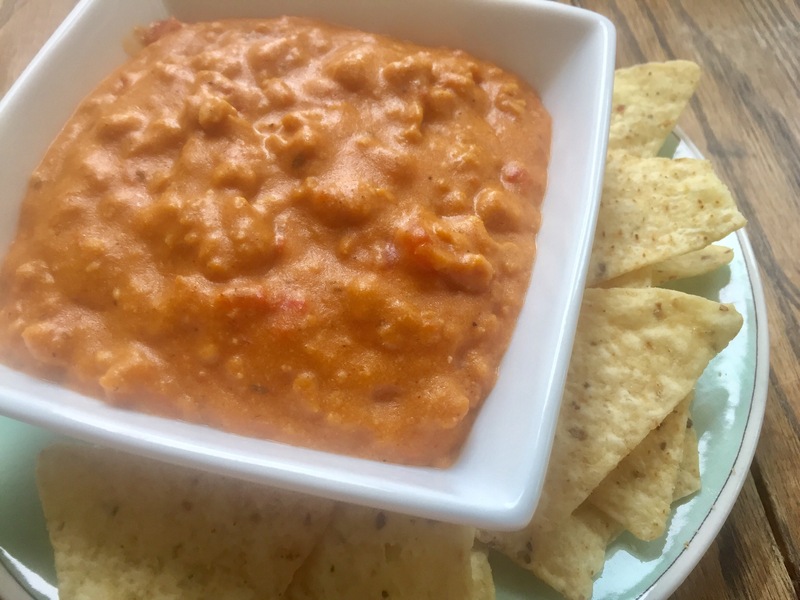 It’s been awhile since I’ve posted any recipes. I guess I’ve been a little busy and lately I’ve had a couple of companies over doing some home improvements and remodeling. With my hectic life, and working on a new weight loss program, I’ve really not had a lot of time to cook. However, tomorrow I invited some family over for lunch so was trying to decide what to make that was fast, easy, and something that everyone would enjoy, including my grandma who normally won’t try my vegan food. 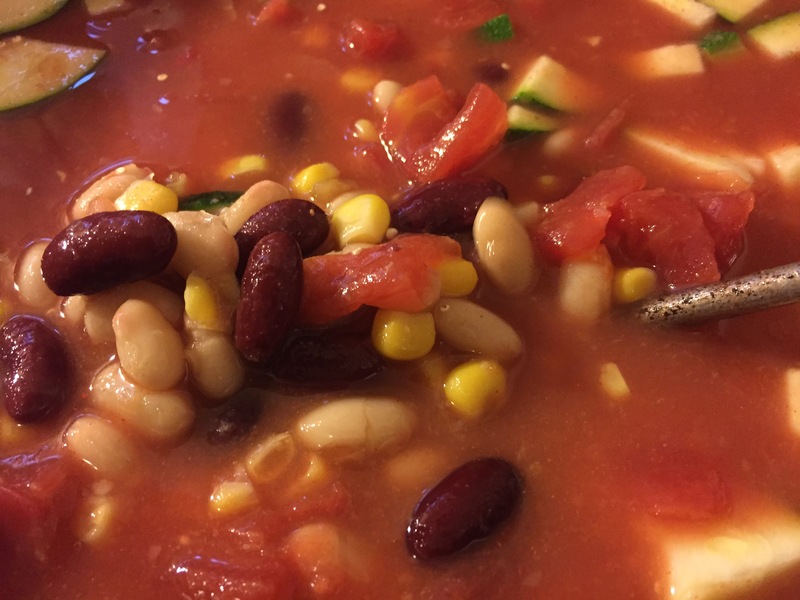 I remembered a couple of years ago I made some taco soup to take over to my grandma’s so my husband and I would have something to eat while the rest of the family ate Caldo (beef stew) (see my version of vegan caldo). I put some leftovers in a Tupperware and left it so my grandma would have something to feed my grandpa the next day and wouldn’t have to cook. 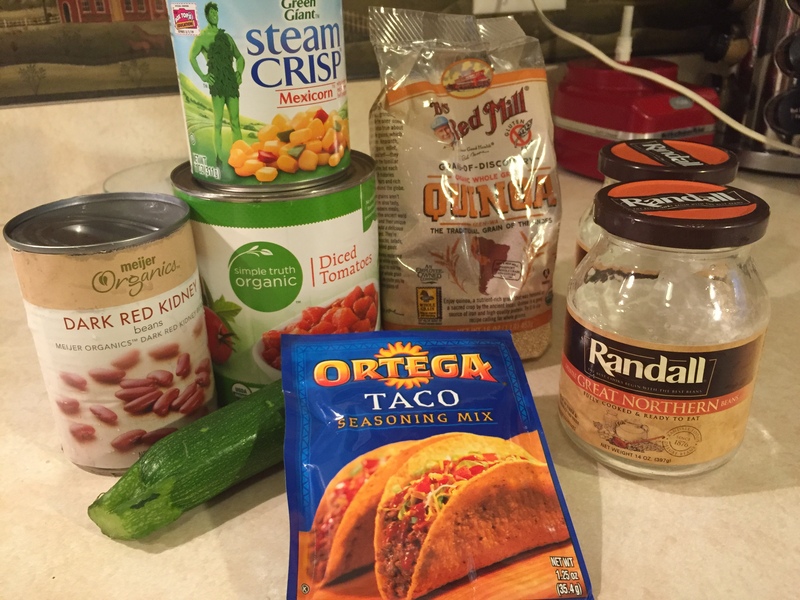 Grandma just called all excited about your delicious taco soup. That’s what they had for lunch and had just a small bit left over. She said she was giving Grandpa chili for supper and she was finishing the rest of the soup. Asked me if I got any or tasted it. Wants the recipe—said it was delicious and filling. She called specifically to tell me that and ask for the recipe. Told her you would be glad to hear that. Mix all ingredients together and simmer for 20-30 minutes or until quinoa or rice is done and zucchini (if using) is soft. You can also throw it in the crockpot on low in the morning and come home to some warm, tasty soup! 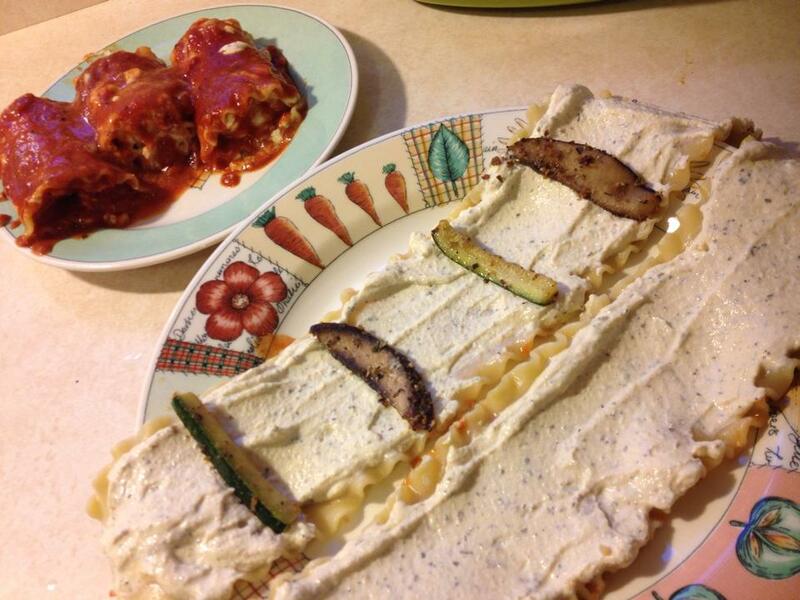 Who says vegans can’t enjoy lasagna? 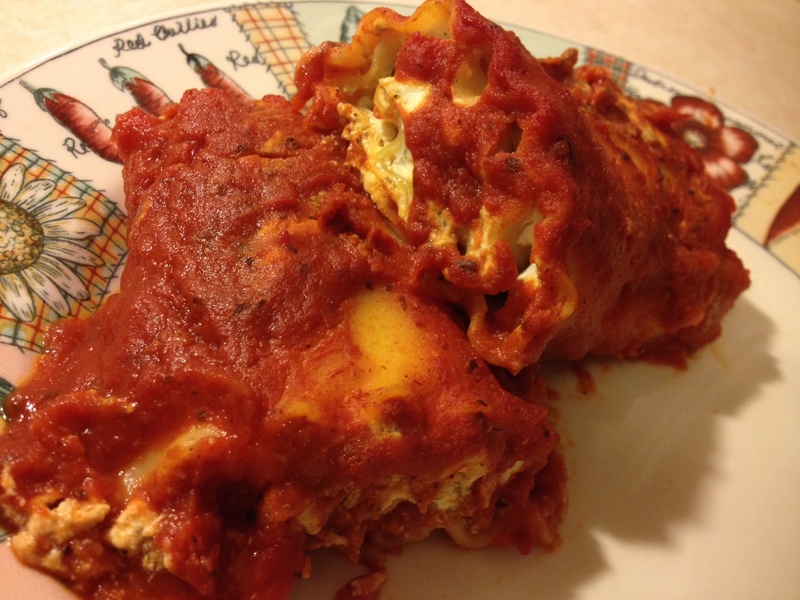 These vegan lasagna rolls, or lasagna roll-ups, using tofu ricotta cheese, make a vegan lasagna the whole family will love! I like lasagna with veggies, the hubby likes his without… lasagna rolls makes it easy to please us both without having to make two separate pans! Lasagna rolls with or without veggies! Here I used zucchini and mushrooms, but you could also use spinach, chopped carrots, chopped broccoli, and/or chopped kale…or any of your other favorite veggies. Just make sure to cook the veggies first! I cook mine using pam cooking spray with garlic, black pepper, and oregano and a some of my vegan parmesan cheese. Combine all ingredients for tofu ricotta in food processor and pulse until mixture is smooth. Spread each noodle with 2 heaping tablespoonfuls of tofu ricotta. If you’re using veggies, add them now. Drizzle some marinara sauce on top then starting at a short end, roll up each noodle. Add a small layer of marinara sauce to the bottom of a shallow baking dish. Place lasagna rolls in dish and pour remaining sauce over noodles. Bake in 350 degree oven for 20 minutes or until heated throughout. Sprinkle with vegan parmesan cheese (optional).